Every so often a group of works come together in the gallery, pointing the way to a thematic exhibition. Degrees of Abstraction II is one such show. It is the second exhibition with this title; the first was a decade ago. We look forward to presenting an exciting grouping of diverse work by young, mid-career and senior artists. Works in the exhibition span nine decades, including a rare 1937 Doris McCarthy oil on panel, an 1955 drawing by Michael Snow, two day-glo gouache paintings by Greg Curnoe from 1962, right through to the current with new paintings of Jessica Groome and Howard Podeswa. 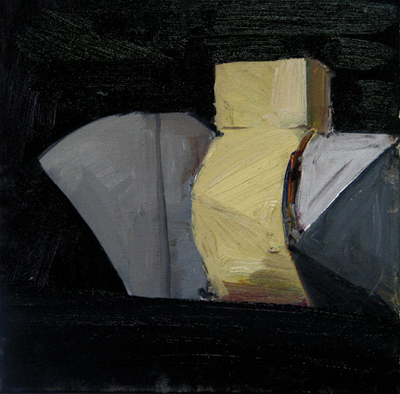 We are pleased to announce that we are now representing the work of Howard Podeswa and Jessica Gilmour-Groome. We will be exhibiting Podeswa’s paintings for the first time in this exhibition. 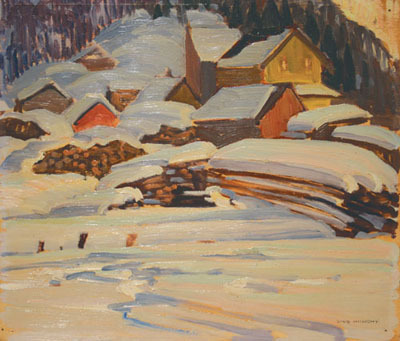 Howard has exhibited widely in Canada and abroad and is in many private and public collections. His work will be included in the exhibition, curated by Eric Woodley, at Wynick/Tuck Gallery this coming September, Iwaniska/Ivansk (provisional title). Plans are underway for a solo exhibition in the 2012 season. Jessica’s first exhibition, The Top Tips Nearly Kiss New Paintings just ended a successful run at the gallery. She has just been awarded the prestigious Joe Plaskett Award. New Westminster-born Canadian artist Joseph Plaskett, established the Joseph Plaskett Foundation in 2004 to support a mature Canadian student to travel and/or study art in Europe for one year. The annual $25,000 award is administered at arms length by the Royal Canadian Academy . Jessica is planning her European residency for the fall. From time to time we receive works from collectors or their families for resale in the gallery. The works often come and go without the opportunity to exhibit them. It is with pleasure that we are able at this time to bring together a number of rare works for this exhibition.